Being in a band can be a fun experience for everyone involved. It also can prove to be rather tricky in the long run. The typical goal would be to play music you like, but often there's a heavy amount of pressure to sell records and meet fan expectations at the same time. After all, you do need to pay your bills, keep a strong fanbase, and typically appease a record company. Some bands are founded on a mutual agreement to play one particular genre, others might just want to play music together regardless of the style, and the rest are most likely in it for the money. 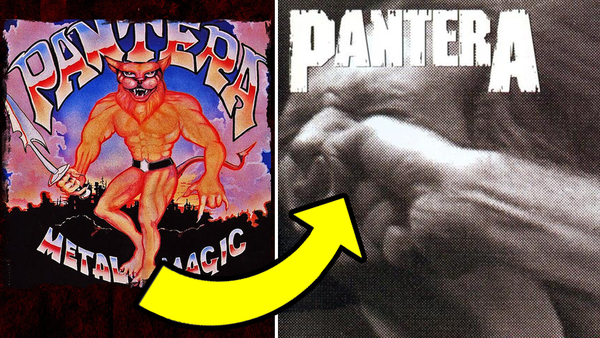 We're not talking about how Metallica went from thrash to a radio-friendly project - no, as you'll see, these bands had a much more drastic stylistic change over the course of their careers. Whatever the case may be, consider the following bands who, for better or worse, made a drastic change to their sound after their initial debut. The 1970s were a weird time. If the world wasn't attempting to kill disco, it was most likely worried about some sort of nuclear war. David Coverdale was no stranger to genre changing. He started as the lead singer of Deep Purple from 1973 to 1976 when they were an early Heavy Metal band. He would later found a solo project that was a Blues Rock band that would become Whitesnake. Their 1978 debut EP, Snakebite, is very much a bluesy jam-fest. Fast-forward to 1987 when Hair Metal was at its peak. Whitesnake had released 6 albums at this point (technically 7 if you count the Snakebite EP), slowly evolving their sound alongside the evolving decade. This year marked Coverdale and guitarist John Sykes writing and releasing the band's most notable album: Whitesnake. The album featured a Hair Metal influenced sound, abandoning the 70s Blues sound they had mostly embodied since their debut 9 years prior. The album went 8 times platinum, meaning it sold over 8 million copies. This was driven by the lead single Here I Go Again, which was a re-recorded and remastered version of the song from their 1982 album Saints & Sinners.